I can tell you from my own personal experience that there are ALOT of methods out there but I’m going to review a few of my most favorite techniques. When you implement these methods you want to ensure that you commit 100% in order to see results. First start with a plan. Like anything you need to understand what you hope to achieve and gain with your new plan and what your objectives are going to be. Do you simply want to inform customers of specials and new product updates or do you want to simply build relationships and strengthen them by providing helpful information, tips, and just simply keeping in touch? It’s proven that the more your customers see valuable information from you, the more likely they are to do business with you. They will see you as a trusted source. The key here is the word VALUABLE. The information needs to be worth their while, information they find intriguing or helpful to them. Then you can start putting your plan into action. I suggest that you start with an email marketing campaign by using a program like Constant Contact, www.constantcontact.com, or MailChimp, www.mailchimp.com. Both of these are online services where you can choose from hundreds of templates including newsletters, coupons, postcards, etc. The templates are very user friendly and match any color scheme you may have. They have hundreds of pictures in their stock galleries for you to choose from as well, so you can make your emails look extremely professional in a matter of minutes. You can then easily import your email addresses from your computer into the program, where your email addresses will then be stored for future campaigns. Simply add new email addresses in and start building your list. You can start your email templates months in advance, save them, and work on them when it’s convenient for you, in addition to being able to set timers and schedule the exact time of delivery for when you want them to be delivered, such as 7am on Friday morning, or 4pm Monday afternoon. You can send holiday greetings and cards and pricing specials or notifications anytime. When you send your emails, always abide by anti spam laws and the email policy’s of your email marketing provider, there are strict laws regarding spam and junk mail. I always provide an opt-in and opt-out attachment in all emails and have a link in all my emails for automatic signup to my email campaigns and newsletters. I also ask my customers to forward the emails and newsletters if they feel someone else might find the information useful. I use these tactics for what I call soft selling techniques. My goal isn’t to push the customer into purchasing or buying from me, in fact most of my newsletters have nothing in them relating to my products. I actually provide them with helpful tips, tricks, and information they might need. For instance if I sell automobiles, I wouldn’t include any sales information in my monthly newsletter. Rather, I would provide articles on how to keep your vehicle running in cold winter months, how to keep your vehicle protected from sun and UV rays, and infromation on the best rated tires in the industry. I might include tips on how to get the best fuel mileage and how to repair chips in the paint. If I owned a laundromat, I would focus on telling people about the newest laundry detergents, or stain removing products, and provide tips on how they can get stains our of their clothes. If you operate a veterinary clinic, then tell your customers the importance of vaccinating your pets, provide a calendar of pet related activities in the community, review common pet problems, and the proper way to clip pet nails etc. You get the idea. Another wonderful program I have used in the past is called Paperless Post, www.paperlesspost.com. This service is also online and is a virtual card company. Rather than spend the money for mailing actual invitations or cards through mail, and never knowing if your intended recipient received it, you can literally create a highly professional invitation, thank you, or holiday card, with a matching envelope through Paperless Post, and then write your content, change fonts and colors, add pictures, logos etc. Upload it all, attach an RSVP and then simply upload your email contacts for whom you want to send the card to and schedule delivery. Once your emails go out, it tells you when it was sent, when it was opened by the receiver, and they can immediately click on the link in the card to rsvp. It’s that simple! I have used this for large Open House Events and for sending Holiday Cards and Thank You Cards with huge success. You can track your responses and then re-send the card or invite anytime if your recipient still hasn’t opened the card. The tracking results are so helpful and allow you to be highly efficient. I also highly recommend getting involved in social media and blogging. I am a firm believer that if you commit to engaging in social media and you continuosly update it several times per week, this will result in higher sales and engagement with your customers. Remember the goal is to build relationships which will eventually lead to business. For more information on social media, visit my other blog posts. 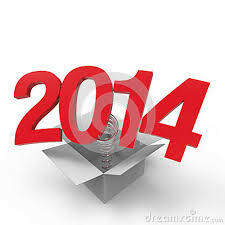 The new year is here. Have you actually sat down and made a plan for what you want to gain from your business this year? If not, then it’s time to do it or you never will. This is one of the things I find most often that business owners never get around to doing. 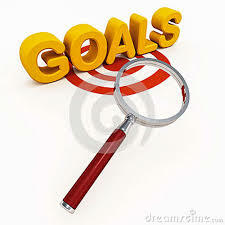 You get so wrapped up in your business that you actually forget to set goals and make a plan for growth. How can you achieve anything if you don’t know what you hope to achieve? Do you want to add a new product line to your business this year? What is it? When do you want to implement it? How are you going to market it? What is your overall revenue projection? Maybe you want to increase revenue by 30%. How will you do it? What approach will you take? Will you increase your marketing? If so, how much and with what method? Will you add new personnel? What will that new personnel have to do to achieve your goals? Will you incorporate incentive programs? These are all questions many business owners are asking themselves but you fail to develop a plan to achieve it. Let’s change that and get you on the path to success for 2014! I can’t stress enough how important it is to have a plan every year for your business. Alot changes from one year to another, sometimes even within in a few months. If you don’t have a business plan, step one is for you to make one right now. Make that your new years resolution. I’ve written alot of business plans over the years for a variety of companies, from start-ups to existing businesses and every time, the owners are amazed at what they read. They either look at the plan and think wow we’ve come a long way, or they think how did I get to where I am, or wonder why they are not doing better. 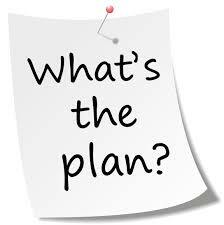 The plan provides you with a snapshot of your business and is highly thought provoking. 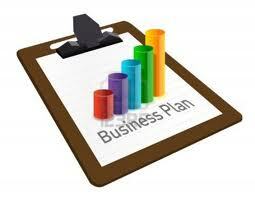 Some of the best ideas for business growth have come out of what is seen in the business plan. You can see first hand the success or failures of your business. I am amazed everytime I see a business operating without a plan. Whether you are just planning to start a business or whether you’ve been in business for 12 years and still going strong, you should have a strong business plan. You’re in business to make money and to capture as much of your market segment as you can. The plan will help ensure that you’re doing just that and will help guide you to the next level and help keep you one step ahead of the competition. A business plan is full of information. When it’s written well you should be able to really see your ups and downs, as well as your success and failures. You need to be honest and forthcoming when you write your plan, sometimes it’s not always fun, but sometimes it’s a terrific eye opener. If you need assistance in writing a business plan or setting goals for your business for 2014, Executive Business Services can assist you in doing so. Feel free to contact me anytime. Today customer service just isn’t what it used to be and business owners often wonder how they can compete and what they can do different than just offer customer service. Today, everyone says they offer customer service, and in most ads they’ll try to state how their customer service is better than everyone else’s. In the end I rarely see customer service anywhere! The term has been widely used for so long that it means nothing anymore. It’s been abused. 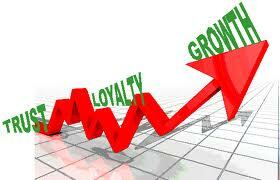 What does matter is Customer Loyalty and keeping your customers happy so that they come back over and over again. With the new wave of technology and the wide spread use of the internet, many businesses are happy with just a one time sale. Their customer base is so large, they don’t need to keep them coming back, but imagine if you could. Imagine how much better your business would be and how much more successful you would be overall. You can set yourself apart by keeping your customers loyal. So how do you do it? You provide the absolute best service, bar none. I mean, you go the extra mile to make your customers experience the best. You don’t give story lines or make up excuses, and when they place an order, you under promise and over deliver. Remember the old addage, the customer is always right. Well, their not always right and it’s ok to let them know when their not, when you do it the correct way. However, in the end the customer is the one who ensures you get a paycheck. If you chase them all away or develop a bad reputation, no one will come back and your business will be closed. The customer pays your bills! I am a firm believer in providing the absolute best service and sometimes I over promise, but I still manage to over deliver. When a customer places an order and you tell them it will take 10-14 days to deliver, if you get the product early, then deliver it early. They’ll be thankful. If you make a mistake, always own up to it and be honest with them. Explain the situation and tell them how you’re going to fix it, DO NOT give excuses or place blame upon others. Its simple. 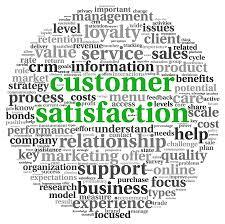 Go above and beyond and the customer will do the same. They’ll be back over and over again. Set yourself apart and take care of your customers and they’ll build loyalty with you.